Welcome to Lagido Surf House. 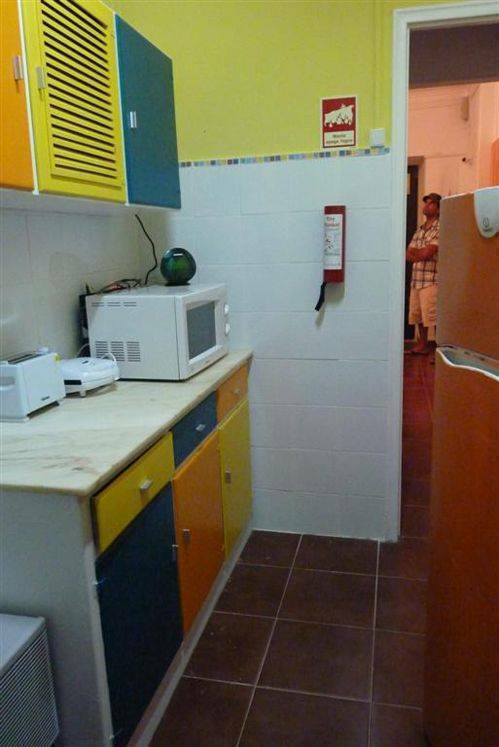 We are a modern, fully redecorated Surf House offering cheap accommodation in Baleal Island. 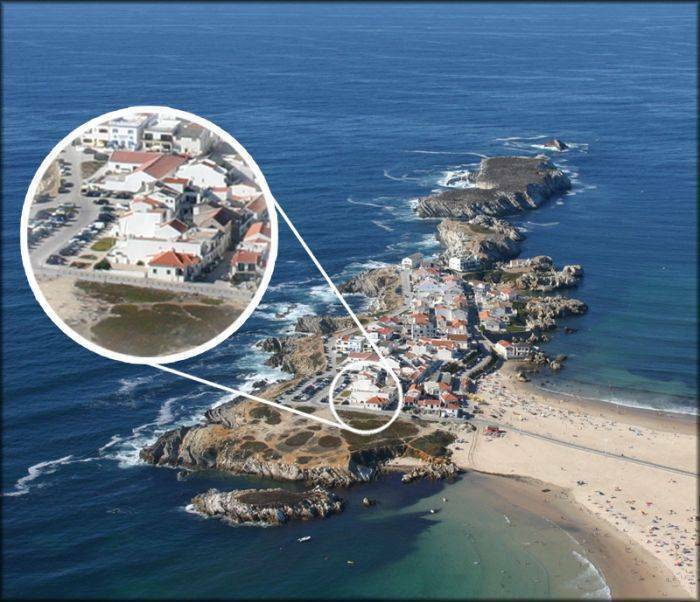 Located in Baleal Island, provides our clients with a different housing, where leaving home is to be on the beach. Our clients can choose between staying in our surf house or get hosted elsewhere, depending on what they prefer. They can also choose from several services, including accommodation, equipment hire, surf lessons and other activities like snorkeling or boat trips. 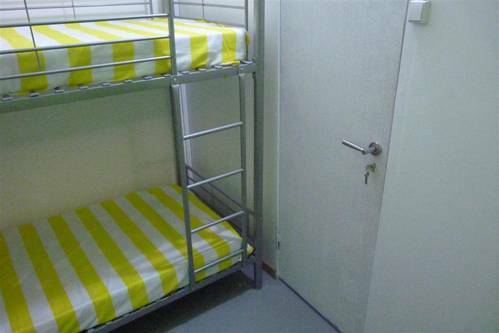 The hostel accommodation is designed for those who do not mind sleeping with more than one person in the same room. In our case we have a room with a bunk bed for two people. If you come with a friend this is the ideal room for you. We also have a room with two bunk beds where four people can sleep, if you come with more than one friend than this is the right room for you. If you come here alone then you have a good chance to meet people from other countries and cultures making your stay even more enjoyable and enriching. We also have a double room with TV included for just one person or for a couple. Additionally you have two bathrooms with shower and two showers located on the access to the room so you can wash your wet-suits or even just to take a shower after a relaxing bath at the beach. Our living room has a large sofa so you can relax after surfing or after a day at the beach. The house is fully equipped and includes a 33'LCD with cable, wireless internet and fully equipped kitchen where Our guests can cook a good meal or a snack. In our case we have a room with a bunk bed for two people. If you come with a friend this is the ideal room for you. We also have a room with two bunk beds where four people can sleep, if you come with more than one friend than this is the right room for you. If you come here alone then you have a good chance to meet people from other countries and cultures making your stay even more enjoyable and enriching. We also have a double room with TV included for just one person or for a couple. Lagido Surf House is located on Baleal Island in the council of Peniche ( less than an hour from Lisbon). 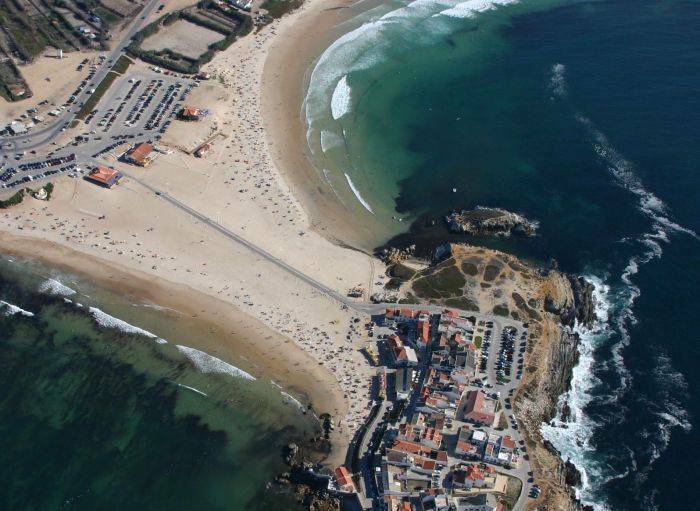 Baleal Island is separated from the mainland by a causeway, creating two beautiful beaches, which will host our surf lessons and other activities. These beaches due to its location and extent have the particularity of having a bit of everything, from bathing areas with live guards, to vast dunes of fine white sand beaches where the waves break with more intensity. Baleal/Peniche offers unique conditions for surfing, In last October Peniche have the WCT - Rip Curl Pro Search 2009 - ASP World Tour. It was a epic championship with the waves getting 3 meters high. This year Peniche will receive the wct again, don´t miss it. If you like shopping then Caldas da Rainha city is the right place for you, with lots of stores and typical handicraft. There are a number of pubs and restaurants nearby. So if you like fish Baleal7Peniche its the right place to try A good caldeirada and sardines. If you need to cancel your reservation, please be shore you do that with minimum 2 days before the check in or else we can not promises that we return the booking money. By car: Take the A8 Highway and drive North direction Leiria/Porto. Dont forget to stop at the tool to collect a ticket and pay on the next tool. Then Drive towards Peniche exiting via the IP6 off-ramp. At the last roundabout (Nossa Senhora da Boa Viagem roundabout) and before you enter Peniche turn right in the direction of Baleal. In Baleal you will find a small road to the Baleal Island at your left, go to the other side and you will see the Lagido surf House. We have transfers from Lisbon to Peniche And from Peniche to Lisbon. In baleal we have a bus station to Peniche, and in Peniche we have a bus station to everywhere. Usually in Baleal the best transportation is a car or a bicycle. Nearest airport: 85 km to Lisbon airport .